The feature, known as Windows Update Delivery Optimization (WUDO), is initially designed to help users get faster software updates, which is quite a good idea to handle massive internet traffic of up to 40 Terabits per second (TBps). WUDO works a lot like torrents work. Your computer running Windows 10 is used as part of a peer-to-peer network to deliver software updates faster to others, each person distributing a little bit of the files across multiple computers and helping everyone download updates quickly. But, this peer-to-peer sharing method offered by Windows 10 is using your precious Internet bandwidth, without hinting you about it, because the feature is enabled by default in Windows 10 Home and Pro edition. WUDO is also enabled in Windows 10 Enterprise and Education, but only for the local network. So, here is the list of updated MP’s for Windows Server 2016, not all seems to be done but Kevin Holman has a nice list with URL’s for those that have been released so far. Log on to the old/existing DHCP server. Click Start, click Run, type cmd in the Open box, right-click, and then “Run as Administrator”. On the Action menu, click Backup. Install the DHCP role on the new (2016) DHCP server using Server Manager. Copy the exported DHCP text file to the desktop of the new DHCP server. Verify that the DHCP service is installed and started on the new DHCP server. Open DHCP console on the new server. In the console tree, right-click DHCP. If your old DHCP server is in the same network/subnet as the new DHCP server, you’ll notice that the old DHCP server has been de-authorized automatically. This is to prevent two DHCP servers from handing out conflicting addresses. Check to make sure that your new DHCP has all of the same settings, options, scopes, and reservations set as the current one. If done correctly, everything should have been brought over. On Hyper V in Windows 10 we will create 4 VMs as we planned before and after VMs are created we must enable nested virtualization for our future cluster nodes. After that we need to install Windows Server 2016 and I suggest we use VM template for faster deployment as described in post earlier. Do not forget to enable MAC address spoofing in order for network packets to be routed through two virtual switches, MAC address spoofing must be enabled on the first level of virtual switch. First VM will be our Domain Controler, DHCP, DNS and we need to setup all those services (detailed info on this procedure). Second VM will be our SAN VM and for this we will use StarWind Virtual SAN. Third and Fourth Server will be our future Hyper V host cluster nodes and for time being they must be joined to domain and given appropriate names and IP addresses. Prior to deployment on production I wanted to test new Windows Server 2016 Hyper V Cluster. On paper it seems it didn’t change much from Windows Server 2012 R2 but still there is fear of unknown. My goal was to test all of it on my desktop workstation since it is quite good even after 3 years of service it is still capable of doing some serious business. Main new feature that will enable me to do this is called Nested Virtualization. Well now after everything I must say I am impressed what I was capable to achieve and this will be series of articles and step by step instructions if you are interested in doing similar setup at your home or just part of it for fun. In all possible scenarios planing and preparation is half work done right there, because of that we need detail plan of our future Hyper V cluster environment and all of it parts and envision our test case. This is procedure how to add Nano Server to domain. Basic idea behind this is to do offline join to domain. Before you venture to adding Nano Server to domain you must set network address and adequate DNS record on your DNS server. Nano server is a headless server which you cant RDP or not a command prompt. For Nano Server management we have to use PowerShell or RSAT tools. So as a first step is to login to other server which stays in the same network and run the PowerShell and execute the following commands. So, if you are an IT Pro you probably know that with Microsoft Server 2016 comes with something called Nano Server. In my opinion it is the best of new thing that Server 2016 have. To see what is new in Windows Server 2016 check out this link on TechNet and if you have more time available there are a series of really good Microsoft Virtual Academy resources here. Over the last few years the Microsoft tried to downsize their Windows Server product and answer on many issues that users had. The first attempt to resolve these issues was in Server Core released as an installation option in Windows Server 2008. A command line only version of the Server OS that can be managed remotely and to a limited degree from a direct console This ‘server core’ did away with a lot of extraneous ‘stuff’ and meant fewer updates, smaller images and smaller, quicker installations. But this was not enough and so the Server Product team in Microsoft went back to the drawing board and produced a deployment option now known as Nano server. This cannot be installed from the DVD or ISO, it has to be installed using PowerShell and each individual image built up to only contain the roles and services that are required for that particular server. In this post I will look at creating a virtual machine (VM) template that you can use to quickly deploy new VM’s from, without having to install and patch them each time. It is particularly useful if you are in a small Hyper-V environment and don’t have System Center Virtual Machine Manager (VMM). The beauty of using a template for VM deployment is standardization. You deploy a known configuration which can be pre-patched which reduces time during the post deployment tasks. Nested virtualization is a feature that allows you to run Hyper-V inside of a Hyper-V virtual machine. In other words, with nested virtualization, a Hyper-V host itself can be virtualized. 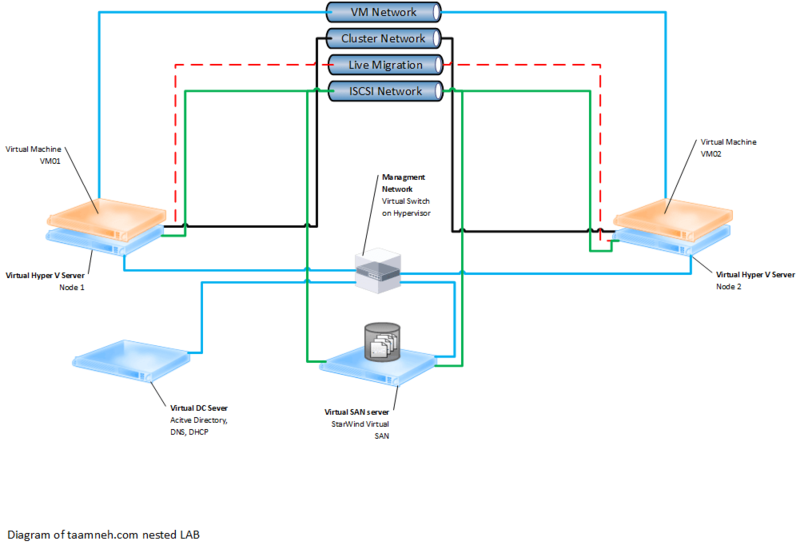 Some use cases for nested virtualization would be to run a Hyper-V Container in a virtualized container host, set-up a Hyper-V lab in a virtualized environment, or to test multi-machine scenarios without the need for individual hardware. This document will detail software and hardware prerequisites, configuration steps, and limitations. While the virtual machine is in the OFF state, run the following command on the physical Hyper-V host. This enables nested virtualization for the virtual machine. Install Hyper-V within the virtual machine, just like you would for a physical server. For more information on installing Hyper-V see, Install Hyper-V.